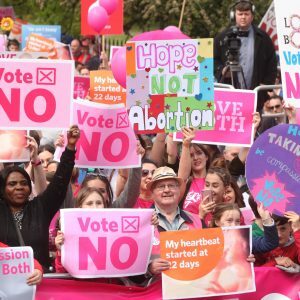 Irish people woke up on Sunday 27 May to a different Ireland than one they had known just two days previously, with abortion having been introduced as a human right into the constitution by popular vote – the first country to do so. The results of the exit polls on Friday night were a shock to many, who did not see the scale of the 66.4 per cent win for the Yes side coming. Thousands tuned into the announcement of the late-night exit polls, made by Ryan Tubridy on the Late Late Show, after which the studio audience burst into sustained applause. Pro-life social media were still hopeful on Friday night, with many citing inaccurate exit polls in the votes that ushered in the era of Brexit and Donald Trump. However, it was not to be, as the results were confirmed by the tallymen at lunchtime on Saturday. Scenes at Dublin Castle for the official announcement echoed those of the marriage referendum in 2015. As eyes turn to what happens next, pro-life campaigners are energetic about the future and refusing to concede this result as the end of the story. 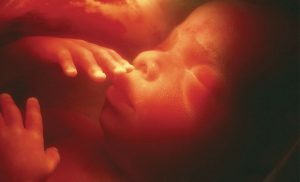 If, as Maria Steen commented to the Burkean Journal before the vote, “it’s only a matter of time … before we see abortion clinics opening on the streets of our towns and cities”, it seems as though the fight is changed, not ended. Given the immense difficulties experienced by pro-life campaigners in the US and UK, it is safe to say that Ireland’s new pro-life generation has much work to do. That is not to say that they are shying away from that work – in fact far from it. Both McGuirk and Cora Sherlock, echoed by young campaigners, are clear that this is not the end of the fight for the pro-life soul of Ireland. From reactions to the news yesterday, it does seem that the fight will take on new fronts. With signs being held up by Michelle O’Neill and Mary Lou McDonald saying “The North is Next,” pro-life campaigners paid tribute to the help their friends over the border had given during the campaign, and promised to repay the favour. The growing numbers of young people involved in mission in LoveBoth and Save the 8th, Youth 2000, NET Ministries, University Chaplaincies, Clochar don Óige, and in diocesan and parish youth ministry all over the country would seem to indicate that we are.